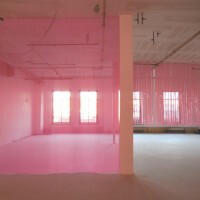 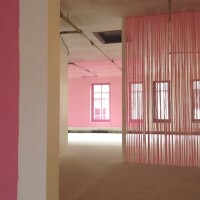 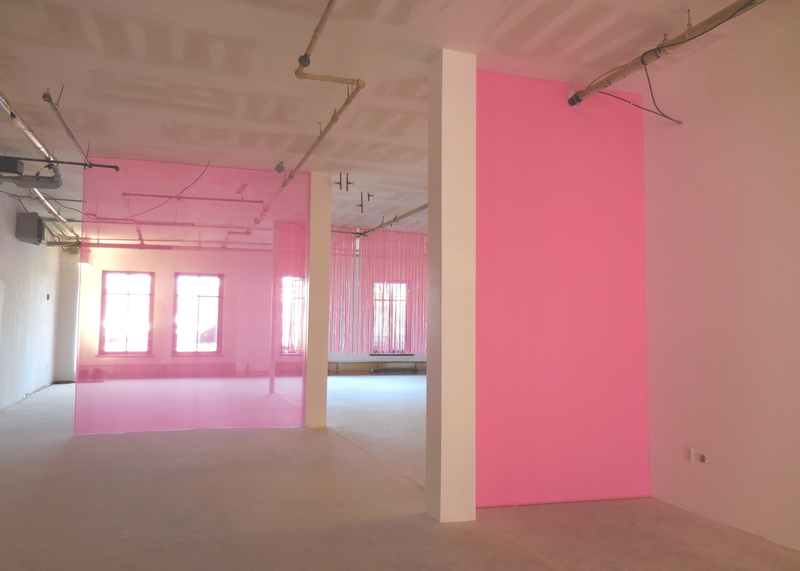 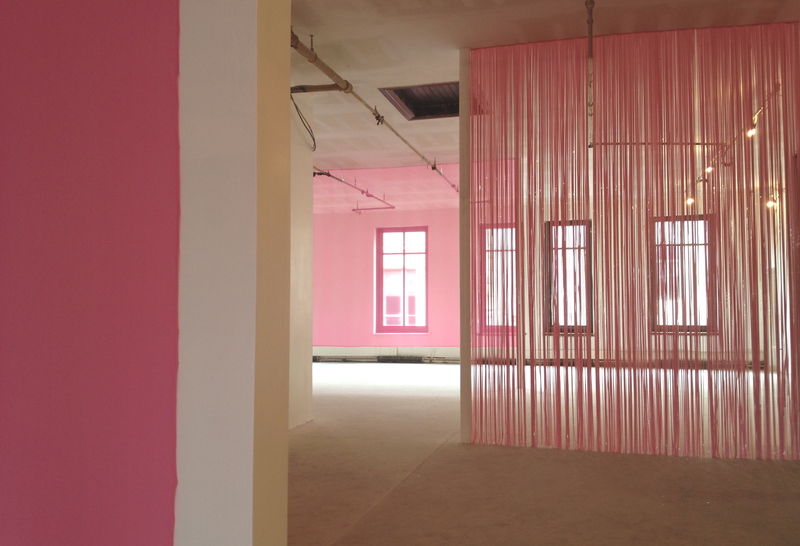 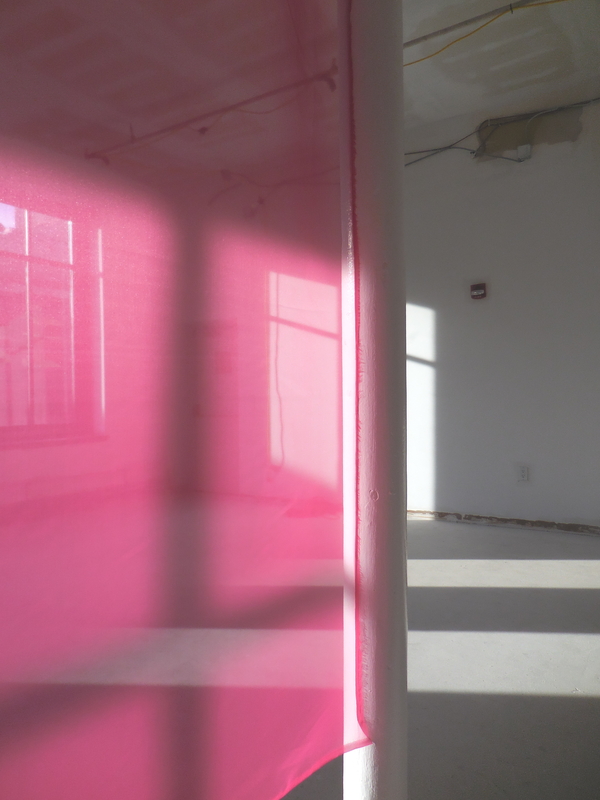 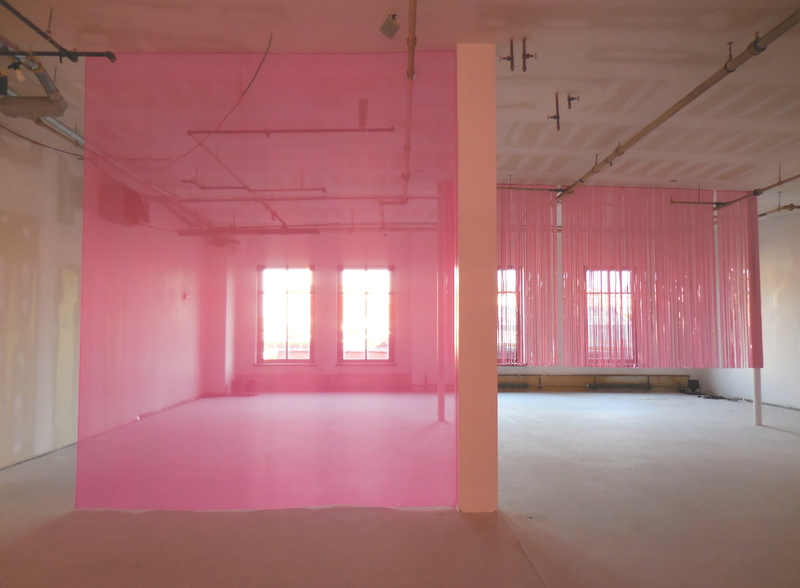 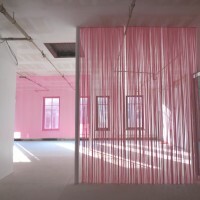 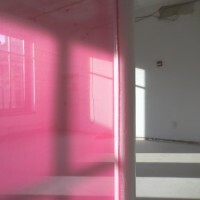 Winter King Hawthorn was a temporary sculptural installation of color and light developed in direct response to its expansive top floor location at 180 Westminster Street. 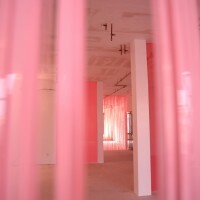 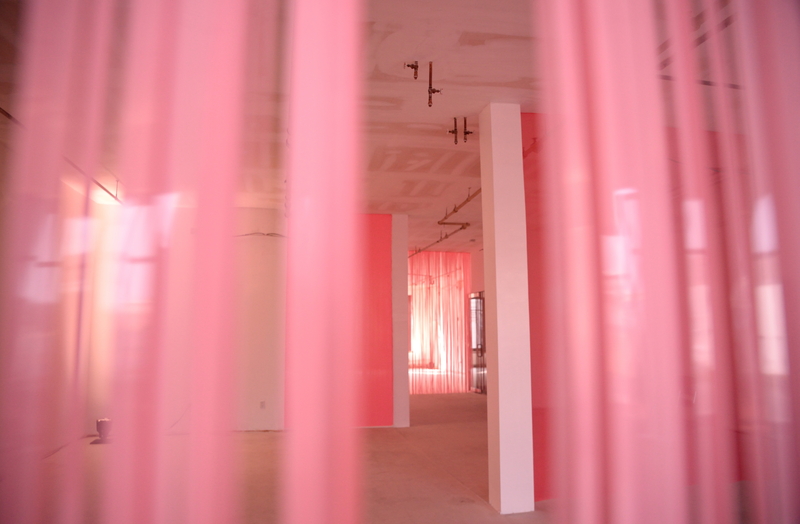 The piece combined projected light, sheer and opaque fabrics, and vinyl curtain in an arrangement that was simultaneously reductive and exuberant. 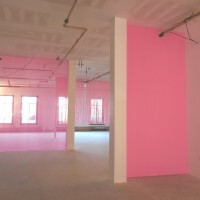 The site-specific work responded to architectural characteristics and quirks, offering visitors a vibrant, immersive color experience. 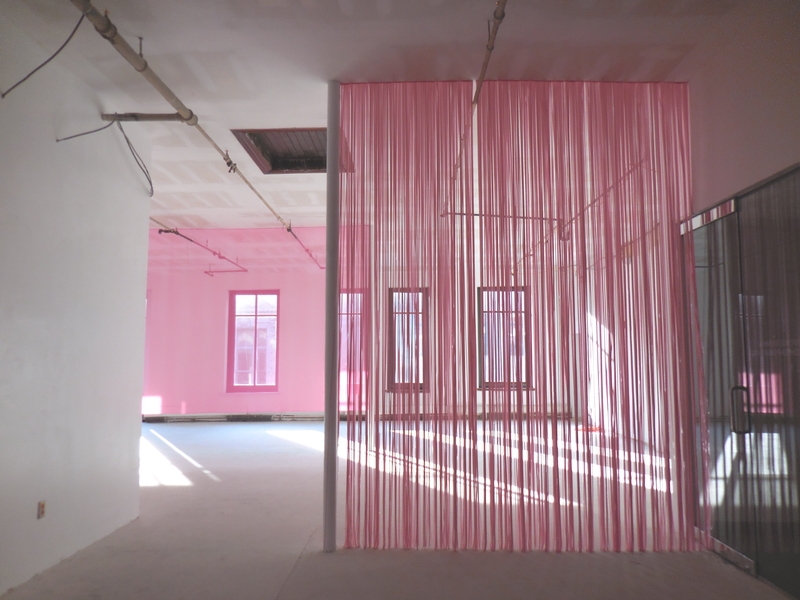 Mounted in conjunction with the 2015 Providence International Arts Festival, it was the first exhibition presented under the aegis of The Providence Biennial for Contemporary Art, Inc.